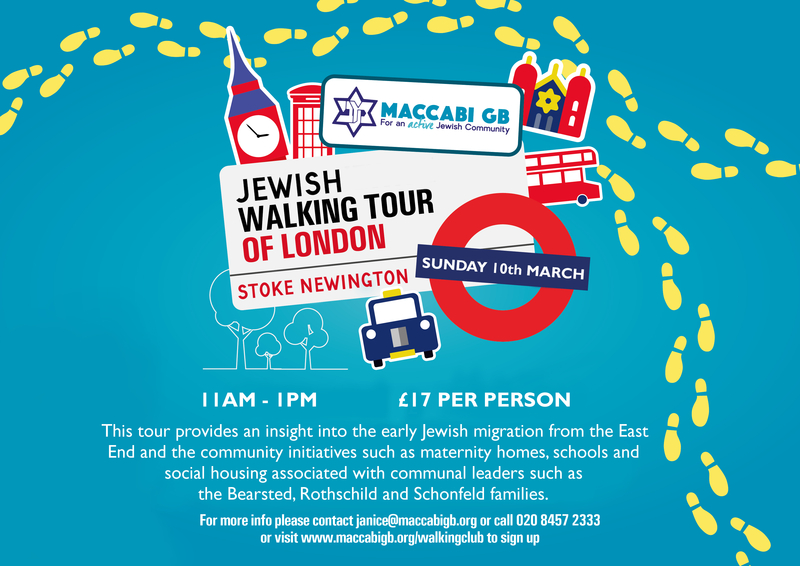 Join other members of the Community at the latest Maccabi GB Jewish Walking Tours of London. These events give you the perfect opportunity to enjoy some fresh air, view some beautiful scenery, take in the history and culture of Jewish London and get a little bit active all at the same time. We encourage you to bring friends and family to this social activity as it is a great chance to take part in some exercise whilst getting to know other Jewish walkers. Maccabi GB maintains the right to refuse any application to this event.